Complement your look with the fashion forward style of the Vivienne Westwood® Olga Earrings. Faux pearl at the center with orb accent. 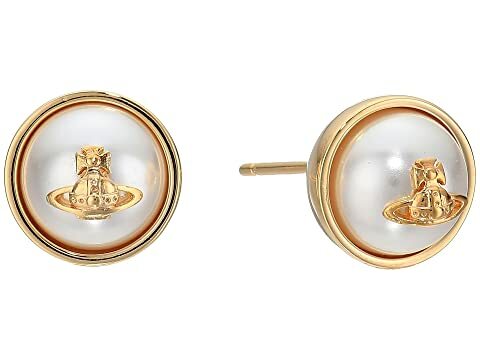 We can't currently find any similar items for the Olga Earrings by Vivienne Westwood. Sorry!